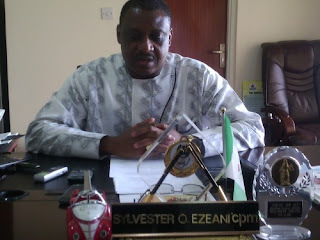 The INEC Resident Electoral Commissioner for Abia State, Sylvester Ezeani, was on Tuesday interrogated by operatives of the Economic and Financial Crimes Commission, EFCC, in Port Harcourt, Rivers State, in connection to an alleged N20 million scam. Also, a member of the House of Representatives representing Oron Constituency, Akwa Ibom State, Nse Bassey Ekpenyong, was arrested for his alleged involvement in certificate forgery scam. Mr. Ezeani was the INEC Resident Electoral Commissioner for Cross River State during the March 28, 2015 Presidential and National Assembly Elections. While serving there, he allegedly collected N20 million out of the entire N241,000,000 released to the state from the controversial $115milloon lodged with Fidelity Bank Plc, by the immediate past Minister of Petroleum Resources, Diezani Allison- Madueke. Mr. Ezeani, who has since been redeployed to Abia State, is currently in the EFCC custody. Mr. Ekpenyong, on his own part, ran into trouble when a non-governmental organization petitioned the EFCC, alleging that he committed perjury and financial crimes by submitting a forged Ordinary National Diploma/ Statement of Result of the Abia State Polytechnic to INEC in the build up to the 2015 National Assembly election. The petitioner also alleged that Mr. Ekpenyong fraudulently obtained salaries, allowances and other financial benefits from his contrived certificate. The EFCC said its investigations showed that Mr. Ekpenyong did not attend the Polytechnic as alleged by the petitioner and the Ordinary National Diploma did not emanate from the institution. The Commission said though the lawmaker had been released on bail, investigations were still on-going on the case.